Can you identify the men in this photograph? 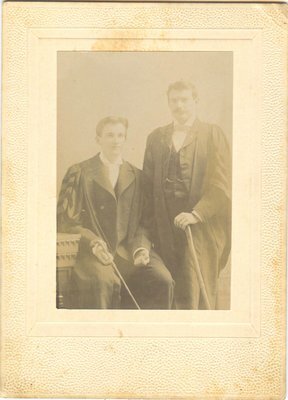 A photograph of two men from the photo album belonging to Margaret McCague Wright and her husband William Ashford Wright. The name of the photographer is unknown.